Taylor's Bulbs Maris Piper Seed Potato Taster 10 Pack from the 'Grow Your Own' range are a Maincrop potato variety for harvest August and September. A high yield top selling white potato with white flesh, and a good all-rounder versatile for chips, boiling, jackets or roasting. 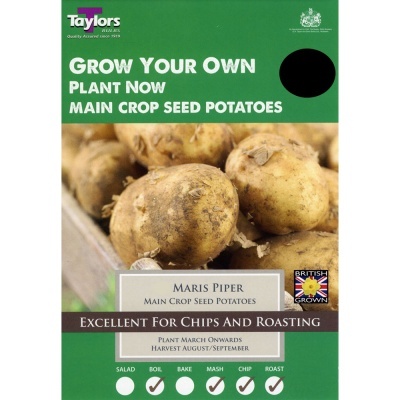 Maris Piper offers excellent flavour, and creamy white floury flesh, that many regard as the best variety for chips.